We have results! 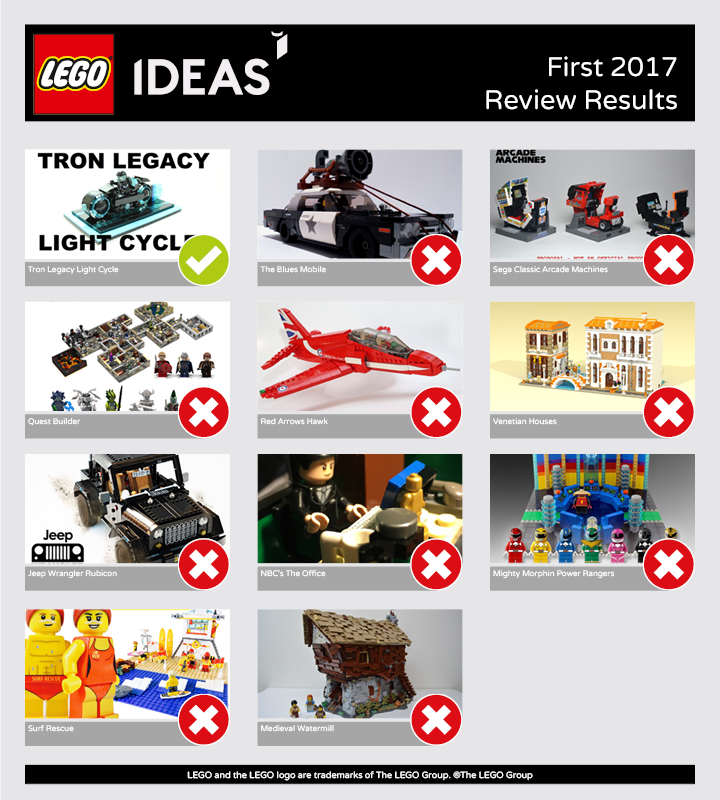 The LEGO Ideas Review Board has met, and have released the First 2017 Review Stage results. 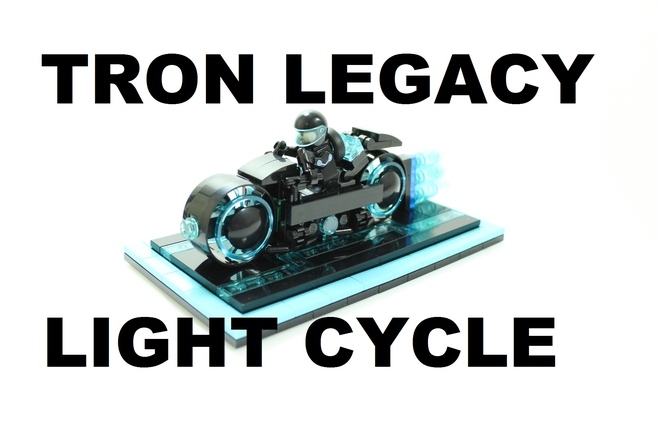 There’s only one project approved this time around, and I’m quite surprised by it – Tron Legacy Light Cycle by BrickBros UK! 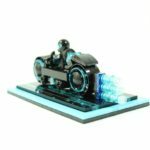 It’s an interesting project – it’s small, and doesn’t have as big a cult following as the original movies, but hey, it made it to the approved status, so well done to BrickBros UK! I wonder if there will be many changes to the model when it’s released? You can read more about the BrickBros in their LEGO Ideas 10K Club Interview. We’ll have more news on this project in early 2018, so stick around for that (and other LEGO goodness!). Here are the other projects that missed out this round. 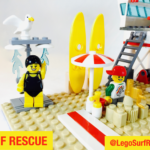 First of all congratulations to Damien and Aiden MacRae, creators of the Surf Rescue project, for making it to the LEGO Ideas Review. As with all members who reach this milestone, it’s a huge feat! We are humbled knowing Damien and Aiden wished to use LEGO bricks to express their important and personal message about surf and sun safety. 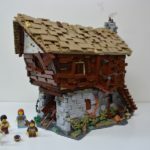 Their story inspired us to share their message with many LEGO fans worldwide through LEGO.com. Following the intensive LEGO Ideas review, we have however decided not to turn their Surf Rescue project into an official LEGO Ideas set. Despite this, we have offered to work with Damien and Aiden on some special projects to share their story and message. We will announce more about potential initiatives if they become a reality. So, fingers crossed we get to see something exciting there too! It’s also a shame about the other projects that didn’t make the cut, but it’s a feat by itself that they got to the 10K mark, so well done to all the designers for that amazing achievement. You can read the full LEGO Ideas blog post for more details, and also check out the next batch of projects being reviewed, with results coming in early 2018 as well. What do you think of the first 2017 Review Stage results? Are you dissapointed? Happy? Let me know below!